PiPlay Portable DIY Retro Game System - Moar Stuff - You don't need it but you know you want it. The PiPlay is a DIY Portable Retro Game System built on the Raspberry Pi zero computer. Basically, it’s a PC board, 2.4″ TFT screen, and 12 buttons that you solder together, insert your Raspberry Pi, install Retropie and your games, then start playing. Wait? You don’t know how to solder? What kind of retro gaming geek are you? OK, no problem, you can get a fully-assembled unit that includes the Raspberry Pi and a durable case for $150.00. It will run for about 3 hours on a pair of standard AA batteries. Powerered by the Retropie emulator, it will run anything from old arcade games to Playstation 1 games. All you need it the ROMs (not included). Oh, and the PiPlay includes a standard 3.5mm headphone jack so you can enjoy all of the retro sound from your games without disturbing others. Want a retro gaming system but don't have a Raspberry Pi Zero laying around? No problem, you can get one here. The Kickstarter for the PiPlay has been fully funded at the time of this writing with 20 days to go. The units are expected to ship by July 2017 so you won’t have to wait long. So, if you’re a retro gamer and a DIY-type person, the PiPlay is screaming for you to buy it. Especially if you already have a Raspberry Pi Zero laying around. Dimensions: Approximately 9 x 5 x 1 inch. Runs for about 3 hours on a pair of AA batteries. 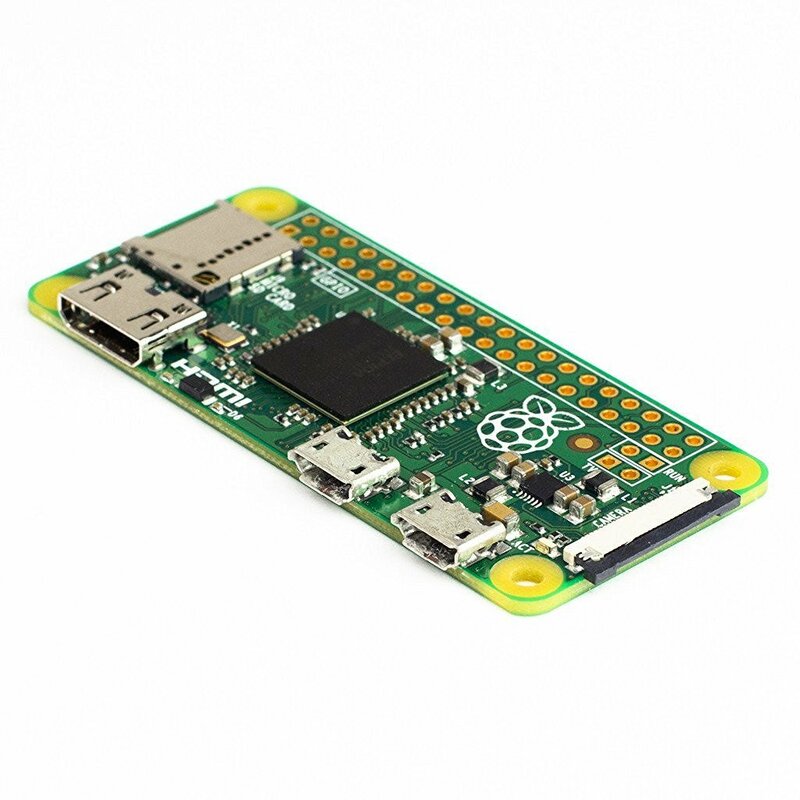 Kit version does not include the Raspberry Pi Zero. The fully-assembled version does. Uses Retropie emulator for games. Includes: PiPlay Portable PCB, screen, battery pack, buttons, headphone hack, resistors, standoffs, and headers. All you need to add is your Raspberry Pi Zero and SD Card.